December 2011 – "Where we're going, we don't need roads." One thing you learn, early on, in journalism is how to suss out and/or dig deeper into the information, and how to find out the whole story – or at least more of the story, as it’s told by all the facts and evidence. As my friend Philip used to say, “Don’t just buy what they sell you.” It’s another reason why journalism is necessary – to tell each side of the story and to help maintain accountability in our community and in our society. A former coworker covered the 2008 Summer Olympics in Beijing, and came back with two copies of the China Daily, the national English daily newspaper. There was plenty of coverage of the Summer Games. Lots of color photos splashed across the front pages of Michael Phelps, who was on his way to becoming one of the world’s most decorated Olympians. Yet neither issue of the China Daily mentioned the stabbing death of an American – the father-in-law of an Olympic volleyball coach and father of a former Olympian – in front of the Drum Tower in Beijing. The China Daily is a state-run publication. Given the state of affairs in communist China, the publication typically follows the government’s agenda. Because of that, some information is shielded from the public … and it’s not something that’s unique to a nation under an authoritarian-socialist-communist regime. There’s so much information that’s out there, but how much of it is spoon-fed to us by organizations, who are directing their own message? How much else are we filtering in or out? And are we only consuming what’s fed to us, or are we also seeking out further information to support – or discredit – those spoon-fed nuggets and claims? A story recently ran on sportsjournalism.org about how college and professional sports organizations aren’t just covering the media anymore. They’re becoming the media. Major-league sports organizations are turning to online and social media to direct – and sometimes to control – their messages. We’re consuming it, too, though it should come with some skepticism. One example: when Vanderbilt announced the hiring of football coach James Franklin on its official Facebook page. Vanderbilt leveraged the one thing it had – information – and disseminated it on its terms, on its platforms, to its audience. The other major “news” commodity that leagues and teams have figured out they can leverage is exclusive access. While professional leagues, most notably Major League Baseball, have centralized and controlled game highlights, there is so much more content that can be leveraged if teams and colleges are willing to share it. Another instance – the Pittsburgh Penguins announced Sidney Crosby’s latest concussion-related absence on its official team website. But what happens when something newsworthy – yet casts the organization or institution in a less-than-stellar light – goes down? Will any major-league organization post a Facebook status update about a player’s arrest for alleged domestic violence or suspicion of drunk driving? Or will a team owner break the news of a coach’s firing on his personal website? Do college programs post player suspensions on a Tumblr or a Twitter account? Are we, the readers and the public, being spoon-fed that information? Most likely, we aren’t. Sometimes, those stories are given exclusively to certain media outlets, though with the constant news cycle, the “exclusive” is going the way of the dinosaur and the AMC Pacer. Other times, they emerge after careful combing of the police blotters … or of an athlete’s Twitter or public Facebook account. Or information may emerge after the fact, through phone conversations, emails or face-to-face exchanges. Otherwise, sussing out the facts is a vital part of being a journalist. Because some organizations are only giving you half the story. In a way, it’s akin to state-run media. 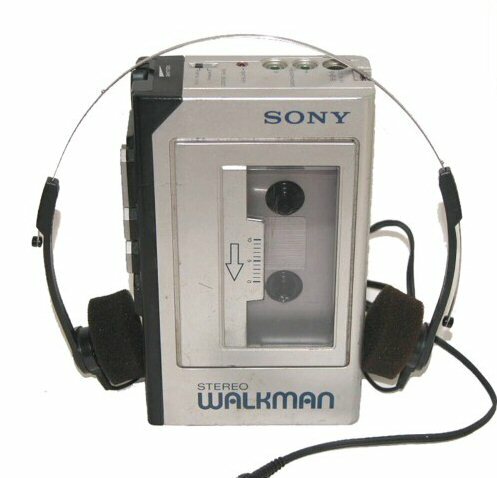 And, surprisingly, I still know all the words to it today. Truthfully, I had no chance. But the exchange – now more than 15 years old – was indicative of where Jagr, then a cult hero/NHL All-Star/rock star/hairstyle-challenged/teenage dream stood in the eyes of Pittsburgh sports fans – and of hopeful father-in-laws. Hence, Jagrmania. 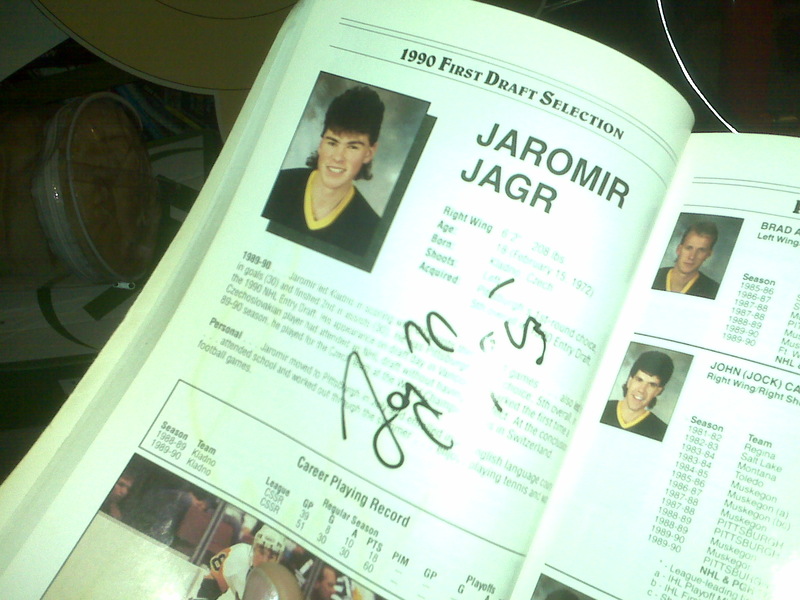 Twenty years ago, girls loved Jaromir Jagr. Mothers hated him. Guys wanted to be like him, probably because they envied him. Kit Kat candy bars, Ed Belfour and traffic cops were afraid of him. But did Pittsburgh fans ever imagine this day? Jagr returns to Pittsburgh tonight – as a Philadelphia Flyer. As a hockey fan, do you appreciate what Jagr has accomplished during his time in the game? As a member of a capitalist society, do you commend Jagr for taking the best paycheck in exchange for the best opportunity to showcase his hockey wares? As a Penguins fan, are you supposed to hate Jagr for such an act of treason? For choosing Philadelphia over Pittsburgh? These days, I don’t know if I’d be screaming for Jagr. Or if I’d be screaming at him. Because as I look back at his time with the Penguins, and then courting the Penguins, I’m conflicted. So is my inner teenager. It’s like coming to terms with the old boyfriend who jilted you, then who unexpectedly sent you a friend request on Facebook 15 years later, when you thought he’d been thoroughly purged from your memory. But he wasn’t. And his wife was kind of hot. In 1990, the Penguins drafted Jagr out of the Czech Republic. He went from an 18-year-old who spoke little to no English in his first season to a perennial All-Star, a Stanley Cup champion and a western Pennsylvania heartthrob. Oh, and if you rearranged the letters of his first name, it spelled “MARIO JR.” Some believed he was poised to be the franchise after Mario Lemieux’s premature retirement in 1997. Yes, that's my 1990-1991 Penguins media guide. But it didn’t work out that way, as he was shipped off to Washington in the summer of 2001, only a few months after the infamous “dying alive” statement. Still, the love reappeared, nearly nine years later. Jagrmania was back in full tilt in February of 2010 when Jagr returned to North America with the Czech hockey team for the Winter Olympics. Then, it was revived this summer when Jagr openly expressed interest in returning to the NHL after playing three seasons with Avangard Omsk of Russia’s Kontinental Hockey League. It seemed like all of hockey was on watch after Jagr announced his intentions to come back to North America. One of those destinations? Pittsburgh. And Penguins fans, despite the franchise’s embarrassment of riches, were ready to welcome Jagr back, despite the thorny parting of ways nearly 10 years ago. 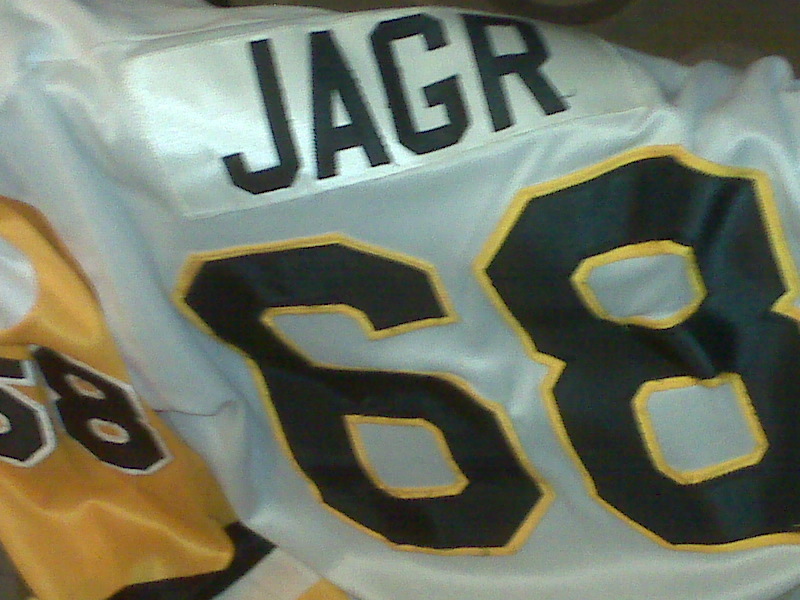 The thought of Jagr returning to Pittsburgh didn’t just bring about Jagrmania. It brought about full-tilt Jagr Madness. He thought about Detroit. Considered Montreal. Played the dating game with Pittsburgh … and Jagr decided to go to Philadelphia. Was this right? Was this fair? Was this karma? Jagr returns to Pittsburgh tonight for the first time since the 2007-2008 playoffs, and he met with the media this morning in Pittsburgh, prior to tonight’s Flyers-Penguins game at CONSOL Energy Center. Jaromir Jagr was not himself Wednesday. The usually gregarious Flyers winger, who won five scoring titles with the Penguins, was mostly agitated during a news conference. He admitted on Thursday that he was upset with how the Pittsburgh media has portrayed him. “Maybe I overreacted. I’m just not happy with some of the media here,” he said after Thursday’s morning skate. “They make up everything. That was the problem. That’s when they start everything, and it’s tough to control. “It’s bothered me for a long time, and I was a little bit mad about it yesterday,” he added. “It’s not going to help me, but at least” he relieved his frustration. Among the things that apparently bothered Jagr were reports that he had agreed to return to Pittsburgh before signing with the Flyers. Q: Did the Penguins say anything to you or [your agent] Petr Svoboda when they made the offer about what kind of role you would play? A: Nobody will tell you how they want to use you. That’s one thing. But you can sometimes read between the lines. I’ve got nothing against [Penguins winger Tyler] Kennedy [who was a restricted free agent last summer] or guys like that, but if somebody tells you, ‘Well, we have to wait for Kennedy,’ and he was playing on the third line, well, where am I going to play if you wait for Kennedy before you sign me? I was reading between the lines. Maybe I’m wrong, maybe I’m right. Nobody’s going to know. Bottom line, I am here, you guys are over there. I’m going to come to the game. Everybody’s going to hate me. And I still have to play. OK? Good luck to everybody. See you next time. Despite the money, the fame, the supposed hate … is there some small part of Jaromir Jagr that’s a bit conflicted about tonight? 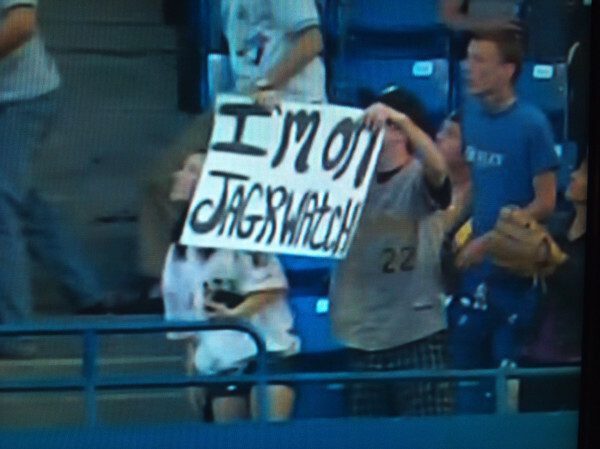 If so, my inner teenager, swathed in a mustard yellow-and-black jersey, can relate. Look out above! It’s a bird. No, it’s a plane. No … it’s a duck. Not that kind of (Anaheim) Duck. 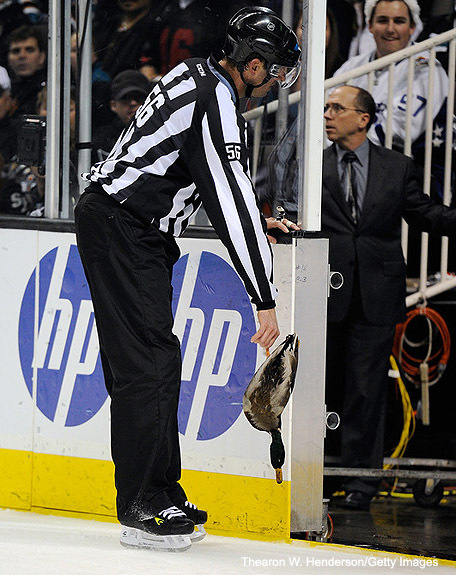 During last night’s Anaheim-San Jose game at HP Pavilion, someone launched a duck. A goose. A honker. There’s video, courtesy of our friends at Puck Daddy, and there’s a photo of a linesman unceremoniously taking the posthumous goose off the ice. The tradition of projectiles is nothing new in the NHL. In fact, it’s generally condoned, despite the fact that many facilities and the NHL repeatedly state a rule that throwing things on the ice during a game is prohibited. Last spring, the NHL issued a crackdown on Detroit’s octopus toss. That crackdown came a year after a fan tossed a baby shark – with an octopus stuffed in its mouth – onto the ice at HP Pavilion. “It was done for fun,” the fan told a Northern California television station. In Philadelphia, a fan once threw a smoke bomb to the ice after a goal was waved off. 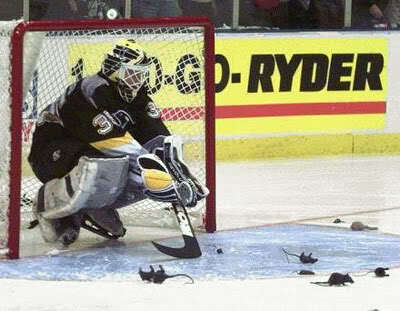 And didn’t fans throw rats onto the ice in Florida more than 15 years ago? The Miami Herald reported earlier this month that with the Panthers’ resurgence, the rats may return to their 1996 glory. Some players even attempt to get in touch with their inner Nolan Ryan … or their inner Steve Blass. Maybe the Teddy Bear Toss is a little safer? Yet this ongoing phenomenon could be worse. What did Bob Froese say after a night in which fans at Madison Square Garden threw plastic beer mugs onto the ice? That’s the stereotype in hockey, right? I mean, you have to have a certain sense of bravery – and insanity – to want to stop a projectile coming at you at speeds about as fast as a slow NASCAR driver. And some of the more notable goalies had their own, ah, habits. Patrick Roy talked to his goalposts. Ed Belfour became extremely belligerent if anyone touched his equipment. Pelle Lindbergh drank beer between periods. As evidenced on this season’s first two episodes of HBO’s “24/7: Road to the NHL Winter Classic” – a four-part miniseries that chronicles two NHL teams in the weeks before the Winter Classic – Philadelphia Flyers goalie Ilya Bryzgalov has a glaring idiosyncracy. Rarely do we see candor from athletes anymore. When they’re surrounded by microphones, digital recorders, television cameras and iPhones tethered to webcasts, there’s a certain guardedness to professional athletes. Or celebrities. They don’t want to say or do the wrong thing, for fear of being scrutinized and/or harpooned via the mainstream media, TMZ, Twitter and basement bloggers. Yet when the HBO cameras are in the general vicinity, it’s different. “24/7” has provided a certain unique window into the lives of NHL players for these past two Decembers – from Max Talbot’s hankering for pretty elves to Bruce Boudreau’s love of Haagen-Dazs. This week, Bryzgalov discussed in detail his Siberian Husky. In post-game interviews posted on YouTube, Bryzgalov is composed, a little stiff, yet articulate. He has his moments of clarity, and of falling in line on the record. Yet from his days with the Ducks, Bryzgalov had it in him. And we are all better for Bryzgalov’s wisdom. 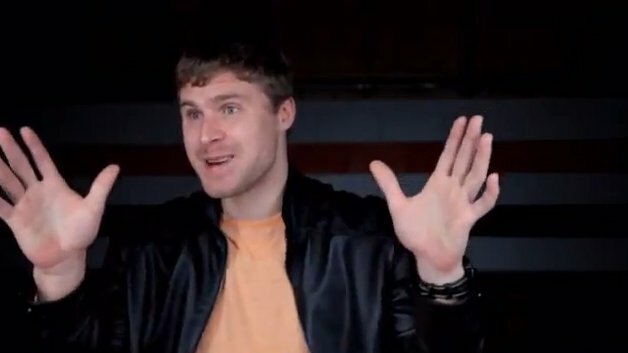 Could Bryzgalov’s wisdom just be something lost in translation? Or is this the goalie’s proverbial 15 minutes? You know goalies. They’re weird sometimes. And that’s not a bad thing. Does the story of Baby Ayla – the missing toddler from Waterville, Maine – pull at your heartstrings? Have you read all the news updates? Have you come to your own conclusions? Are you waiting for the case to continue to unfold? And have you turned on Nancy Grace? She has made “Baby Ayla” her new cause celebre du jour this holiday season. But is Nancy Grace a champion of the missing, the abducted or the people whose voices have been stifled by some sort of injustice in the world? Or is she just a fan of hearing her own voice being amplified over the cable airwaves? Nancy Grace is debasing and selling out our ability to be sympathetic. In the world of Nancy Grace, every baby or female is “snatched” from a comfortable surrounding. Families are complicit in a crime in some way or another – and are talked down to by Nancy Grace for not being vigilant enough or protective enough. And with every case, she wants the input and information from the local media. At a local news organization in Maine, reporters were asked to speak about the Baby Ayla case on the air with Nancy Grace. No, correct that. Reporters in Maine have been pestered incessantly by her producers. Is it worth a superficial career boost to be voiced over, talked down to and interrupted by Nancy Grace or any of her bombastic ilk? When, as a reporter, you’ve got a job to do? And to anyone tuned in to Nancy Grace or Jane Velez-Mitchell’s interpretation and skewering of this case (or any others, for that matter), consider this. It might be best to spend less of your time being fed probabilities, theories, conjecture – all of which further disorient the truth of the matter – and spend more of your time adjusting your filter, deciding what’s real and evidentiary instead of what is driven and sensationalized in an effort to appeal as a low and common denominator. Concentrate on the facts instead of relying on the rhetoric. Sometimes, as Nancy Grace shows us, it’s just too damn loud. Chances are, “True Prep” will approve of this: vineyard vines, a 13-year-old company based in Stamford, Conn., (yes, its company name is lowercased) announced this week that it has signed a licensing agreement with the NHL, and will create a line of ties, tote bags and belts using the theme of current NHL teams and former NHL teams – including the Hartford Whalers. And you and I know about the appeal of the Whalers. But there’s a certain amount of sports-meets-pop-culture in the collaboration between the Stamford, Conn.-based business and the NHL. “True Prep,” circa 2010, profiled vineyard vines on page 92. The company began after brothers Shep and Ian Murray, disenchanted with corporate life in New York City, took to selling their ties out of their Jeep in Martha’s Vineyard. To me it was a catalog of things I did not have and people I wish I could become. I discovered a culture far more widespread—and diverse—than I ever imagined. In the 21st century, prepsterdom is pervasive. Yes, even I own a pair of madras shorts and have shopped at trunk shows. (The madras shorts match my faded Tulane Law baseball cap. And can you beat a designer’s trunk show?) If I lost my BlackBerry, I would be lost. As page 86 in “True Prep” explained it: “My whole life is in it.” And back in the day, I even dated a guy from the Gilman School. 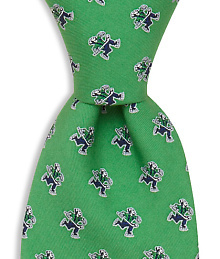 These days, I might even buy a vineyard vines NHL tie for my husband. But at $75 dollars a tie, it begs one question … what would Sean Avery do?